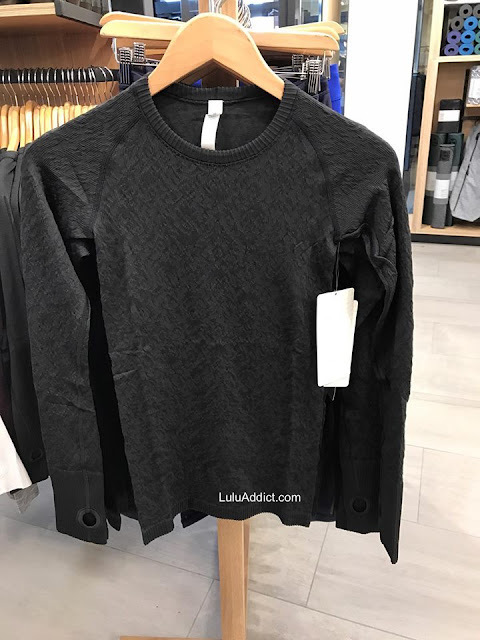 Funnel Neck try on. The model is 5'3". From the look book that got mailed to some people. 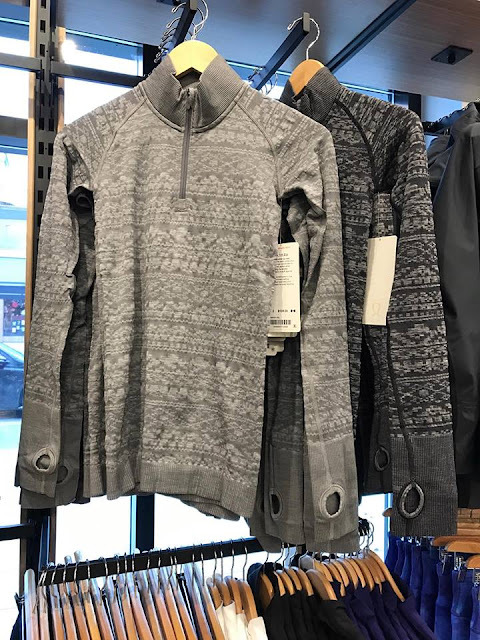 Ms. K. shared her in-store finds with us today.New Kick the Cold Funnel Neck polartec fleece pullover. Ms. K. says this is the same material as the Uba Hoodie from a few years ago. 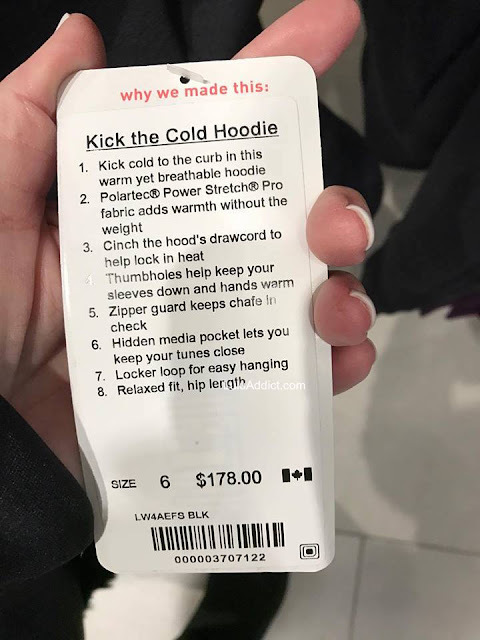 There is also a Kick the Cold Hoodie. I don't understand the $50 price difference between this and the pullover. 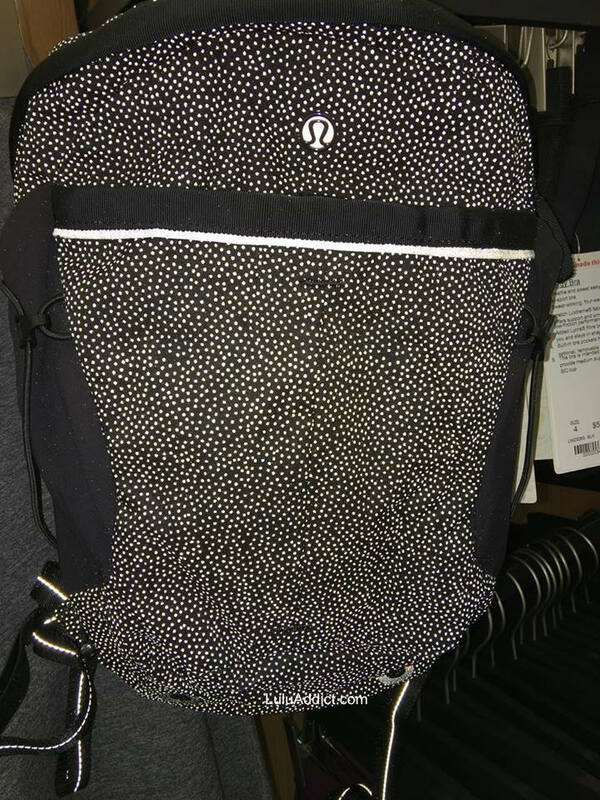 Additionally, I *hate* those new plastic zipper pulls. Nothing says premium product like a cheap zipper pull. Rest Less Half Zip. 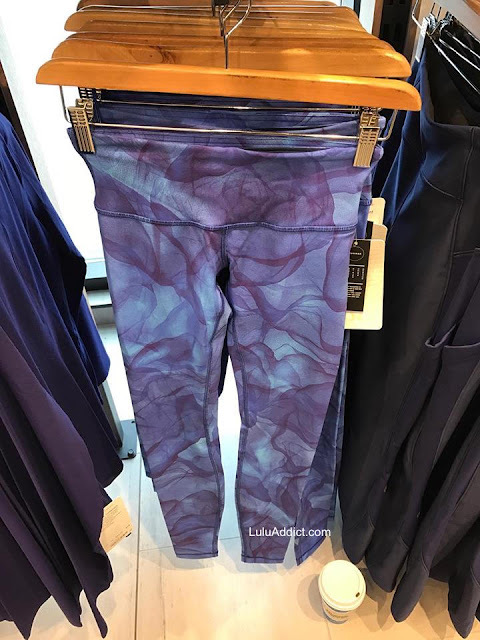 I tried this on last week and liked it. I only wish it came in colors and with a less wintery pattern on it. Oh, YES!! 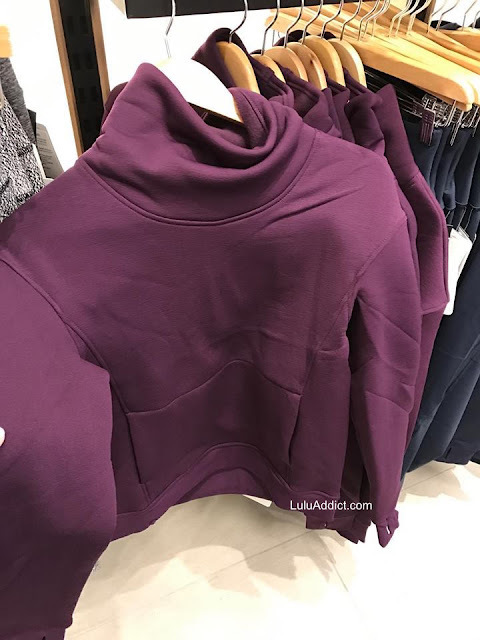 Please let that funnel neck be nice. 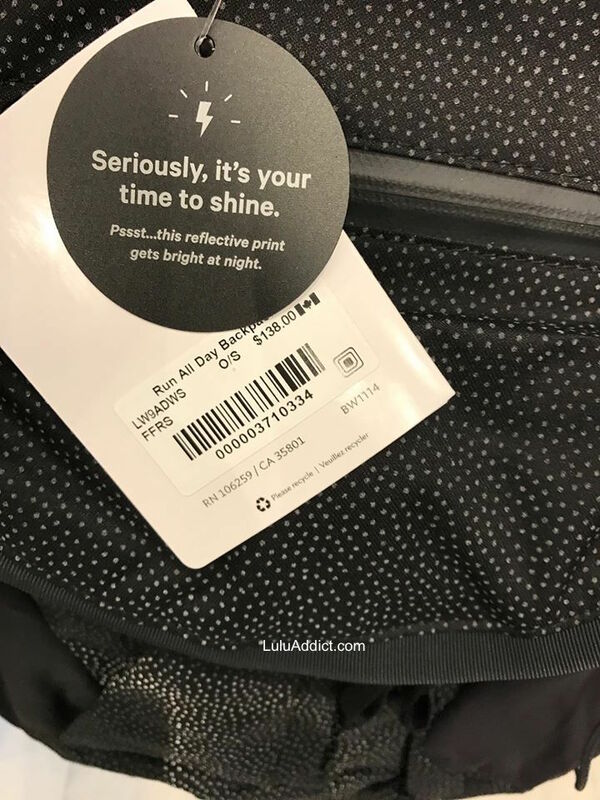 I don't buy bags, but I might need that little reflective one!! Thanks for the pics LLA. 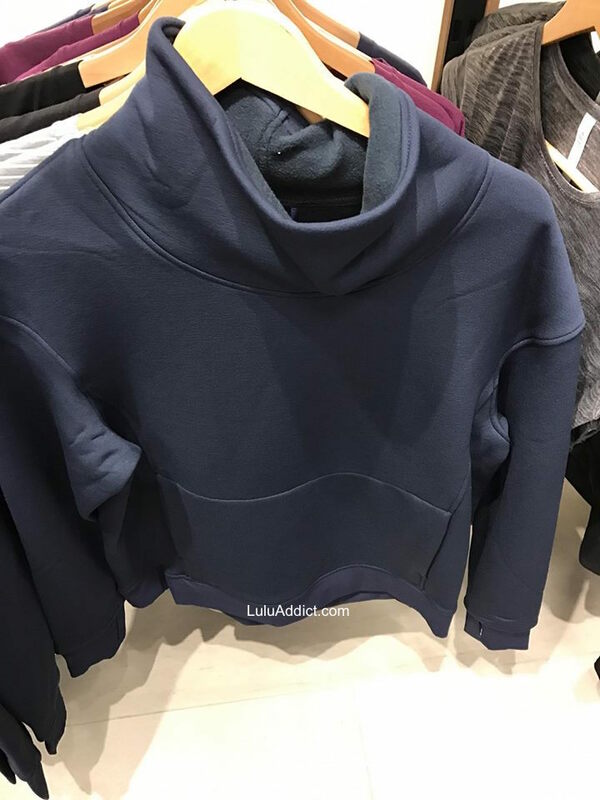 From the angle of the pictures taken of the Kick the Cold Funnel Neck PO, it looks like a crop top, do you know if it is a regular length top or cropped? 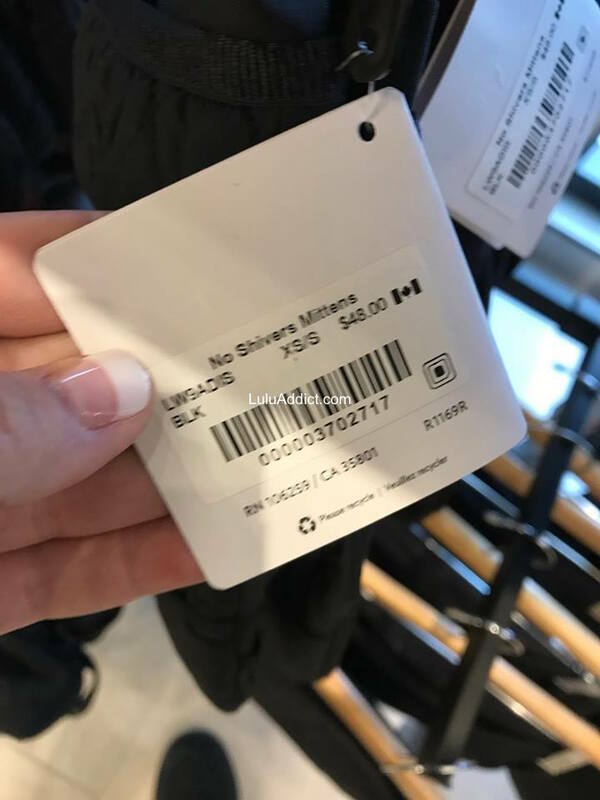 I wonder why these items didn't show up online yesterday? I think the prices on these are crazy high. 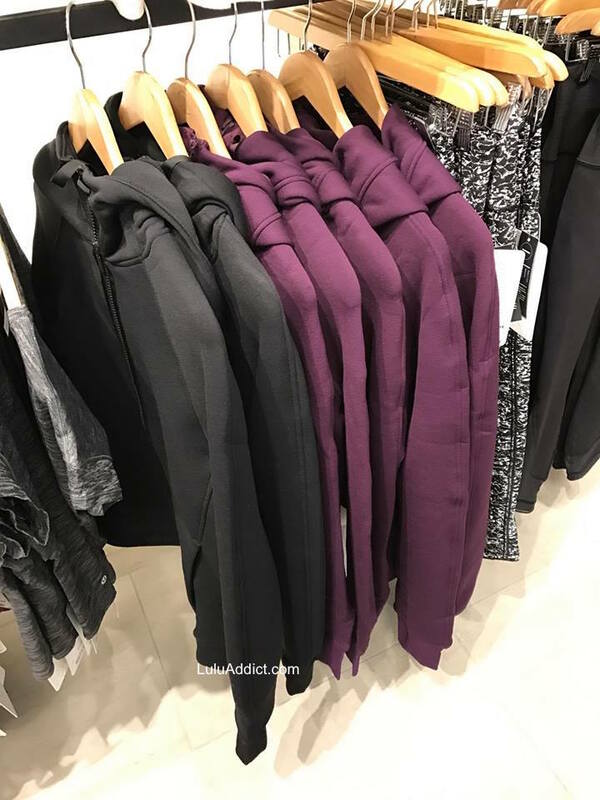 Fugly, fugly pullovers and hoodies... just gross... and those prices... has whoever is in charge of this stuff at LLL gone completely insane!? The only thing premium about Lululemon these days is the prices. 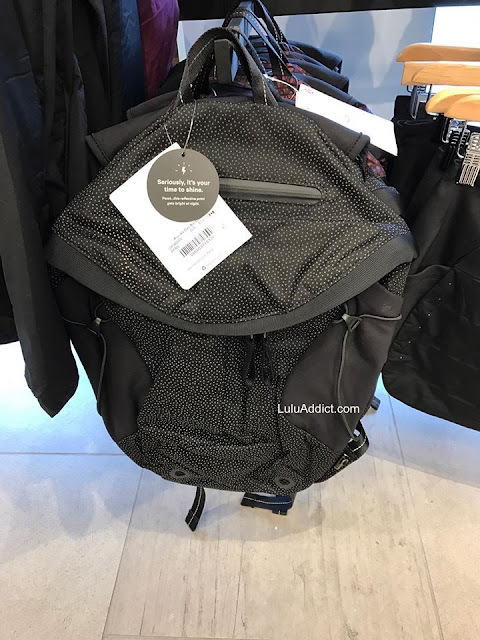 Everything, even the stuff that is actually still decent, such as Swiftly tops and Defines, etc, is overpriced and truly not worth the price. the Kick the Cold Funnel Neck polartec fleece pullover looks like it already has pilling at the neck (2nd picture)?? WTH??!! 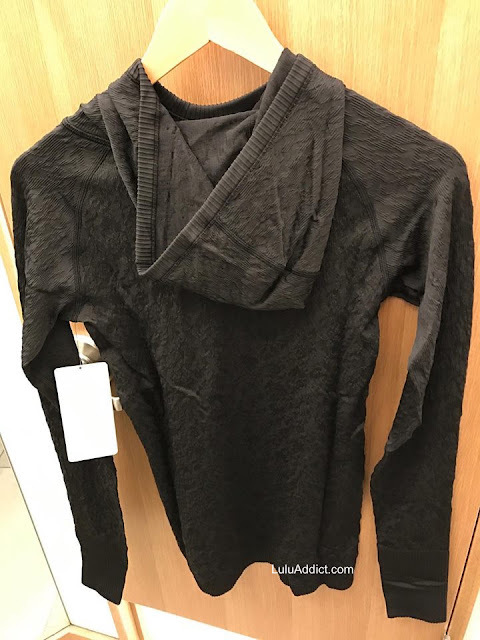 it hasn't even been worn and it looks like crap. 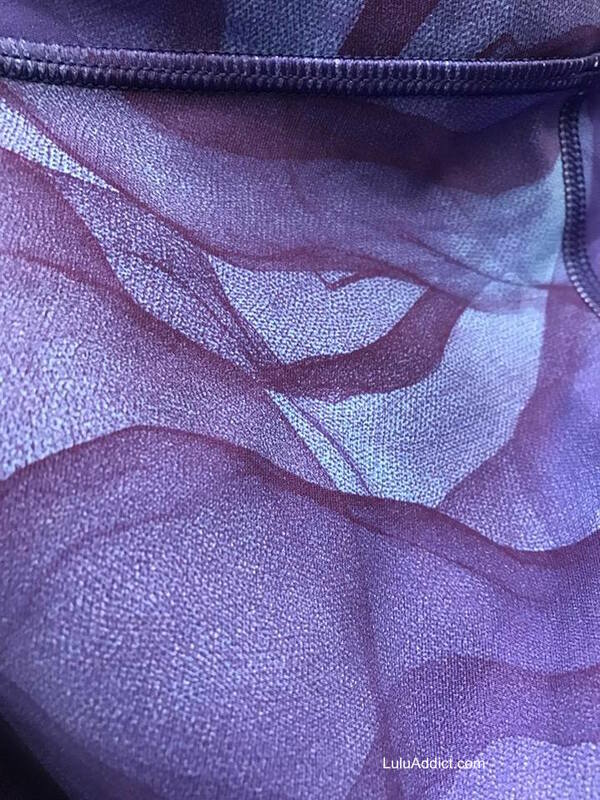 The blue Tulle pattern reminds me of the inexpesive Reebox tights I've seen from TJMaxx. Or the Reebok brand or something Nike has already done. Just not individual enough with patterns anymore. It sad. 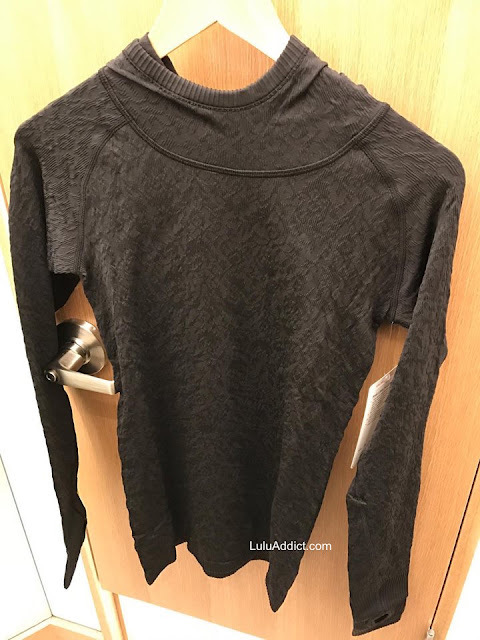 @ anon 5:37 am - I added a couple of photos of the Funnel Neck on. It looks shorter but not a crop top. 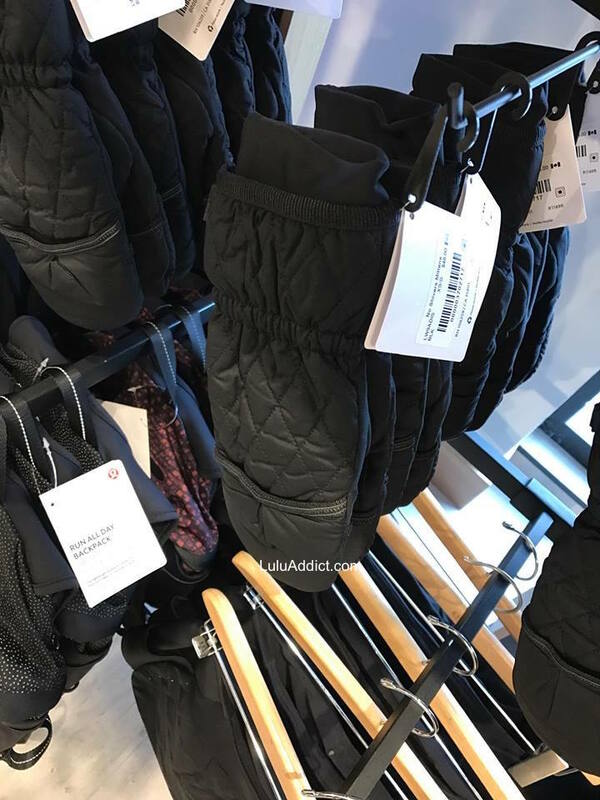 @ anon 6:43 am - What I find striking is the near-complete absence of femininity from the designs in the tops, jackets, and tanks. Nearly all (all?) the tops/jackets are baggy, boxy, and really obscure the female figure and scrub any sort of decorative detailing that could be construed as feminine. You could just change the dimensions on the shoulders, chest, waist, and hip and easily put it in the men's line and no one would think it wasn't a men's product. 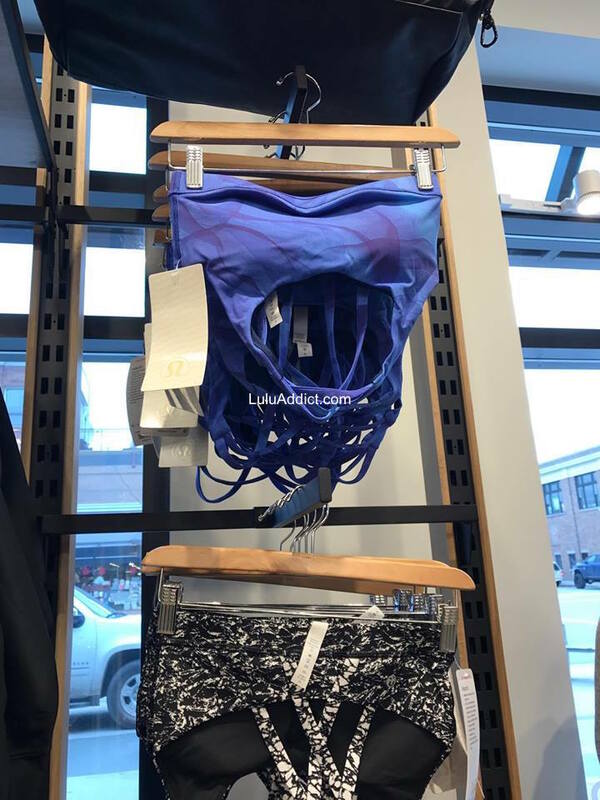 There are tons of high end male designers that know how to design for the female form to enhance and celebrate it but it seems lululemon has made a deliberate decision to go for an androgynous look. It shows a fundamental misunderstanding of the customer base. I used to say lululemon was defined by the "F"s - fit, femininity, function, fashion but they've really dropped the feminine part. And, I really agree with the commenter on the previous post - who needs more black/gray/white in the dreary winter months? I mean, I used to love the traditional black and white patterns that lululemon came out with at this time of year but those patterns were often a pretty floral and/or had energy, movement, and were fun. Plus, they often paired it with a hot pink to really punch it up. Thanks for the additional picture showing the Funnel Neck. It definitely isin't cropped but boy do the shoulders ever look huge not helped by dropped shoulder seams. 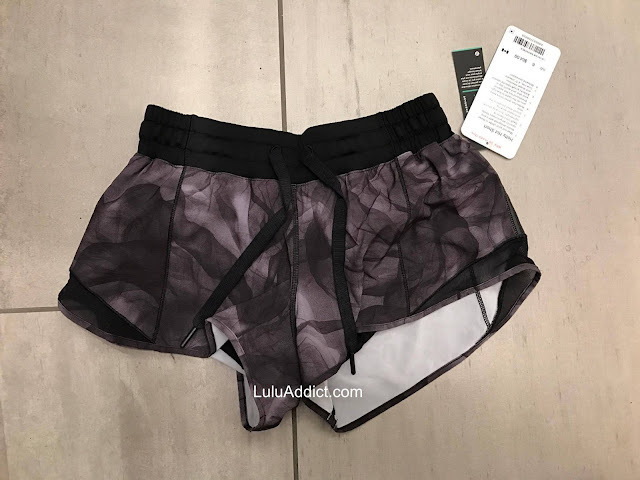 The Midnight Tulle WUP's look really good her. I've been hoarding my older pieces that were in my sell bag, too, Lexie. Unfortunately, their prices are getting unreasonable-most things are well over $100.00 and the price isn't reflective of what the piece should really cost. Too bad. But, I'm out. 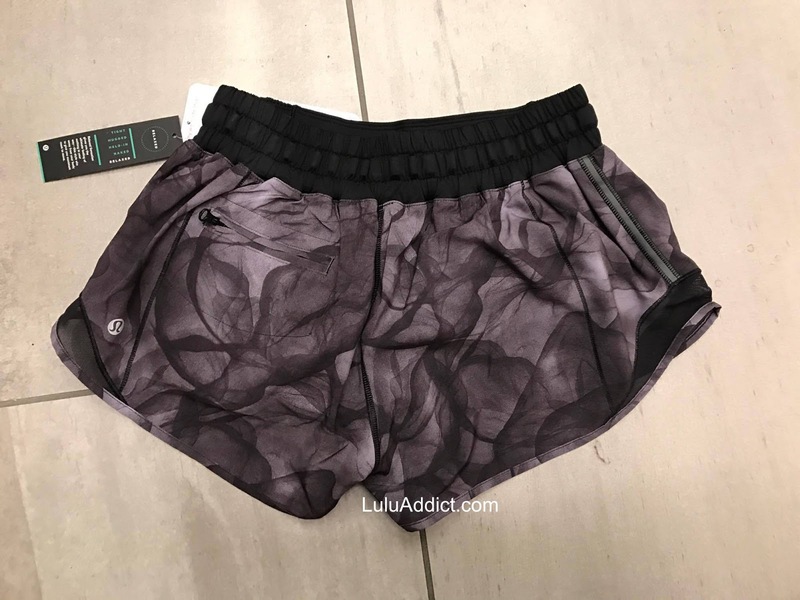 I just bought a great, well made from TNA-$60.00 for half the price of a lululemon scuba and boy, am I ever happy with my purchase! 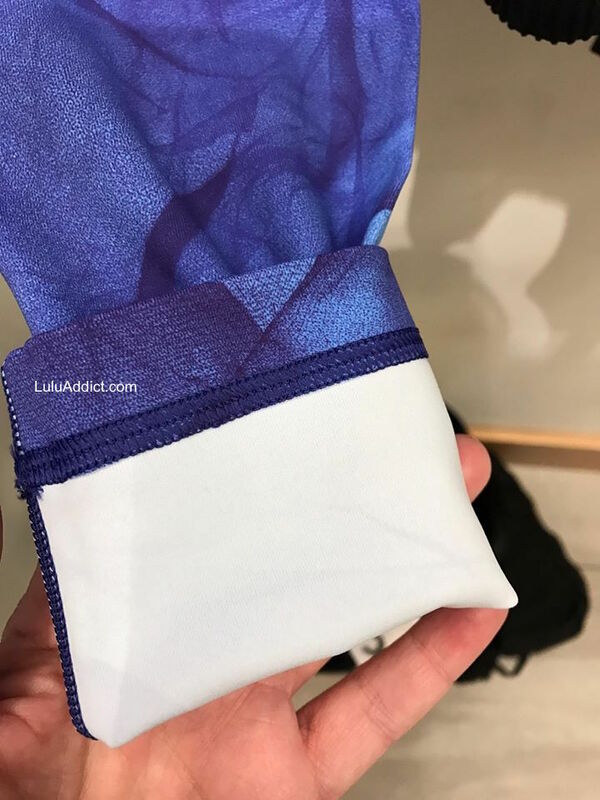 I actually liked those blue WU's- but now that I know they're backed in white i will probably pass, even WHEN they hit WMTM. 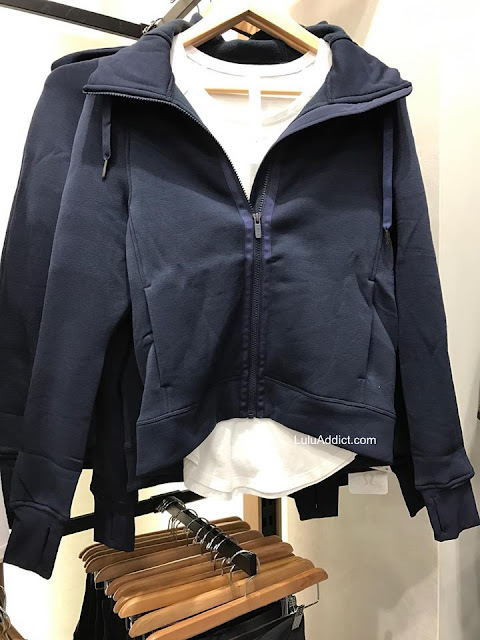 i tried the restless half zip but it's not as cute as last year's rest less pullover, I'm returning. 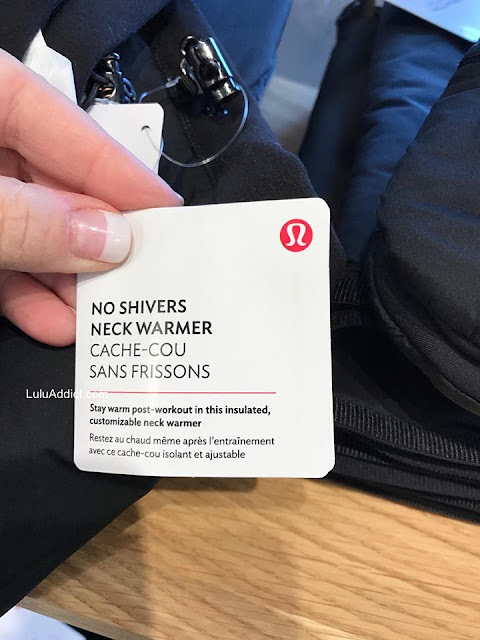 and those mittens are PRICEY. I got last year's sherpa lined mittens (OMG AMAZING) which I continue to get compliments on all the time because they are beautiful too, those I think had the exact same price tag as these ugly things that look like something I would pick up at a quick-e mart out of desperation when I needed to scrape my window but forgot my mittens. I actually do think they have a lot of nice pieces lately, however their prices are silly. I haven't paid full price for anything lately. I'm losing my fomo. I was excited for the first time in months when I thought the first picture of mittens were dog sweaters. 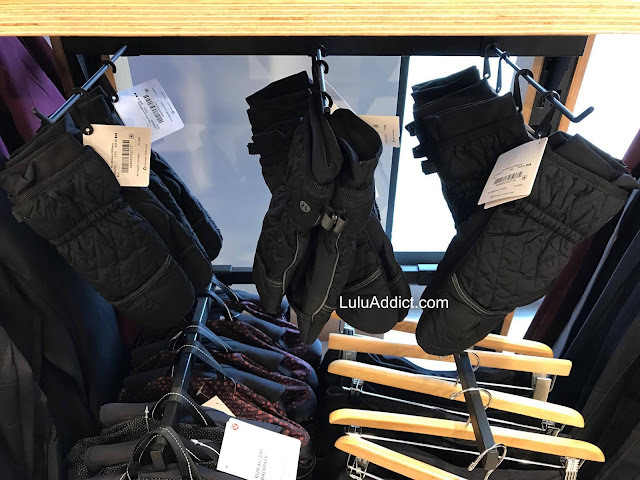 But alas, they are $50 mittens. Thanks Anon 10:29pm for the funnel neck info. 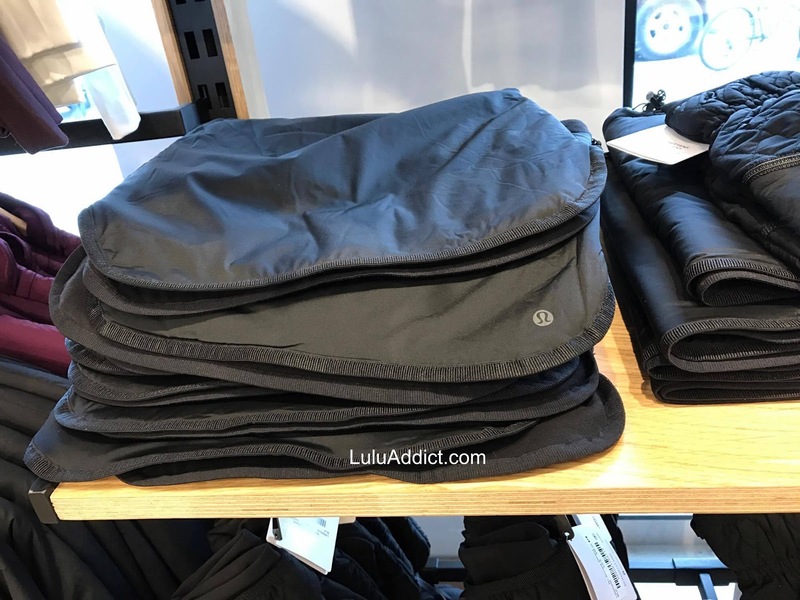 I agree that the polartec fabric is thick and I haven't bought anything in that fabric for the reasons you state. 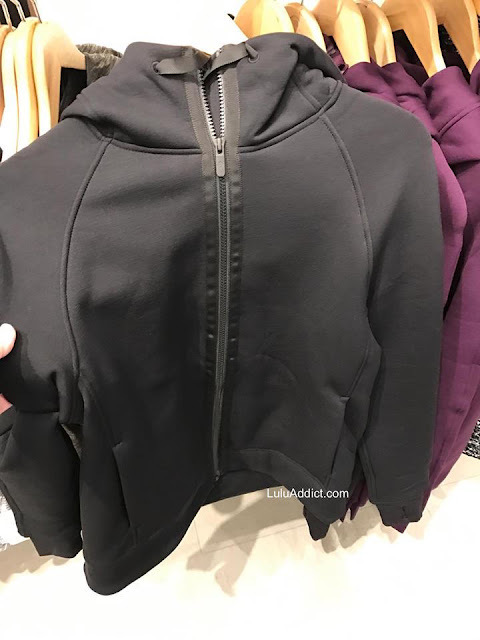 I am curious what you thought about the dropped shoulder seams because in pictures the shoulders look huge and the seams stick out. 'Kick the Cold Hoodie' - $178?? WTF???? 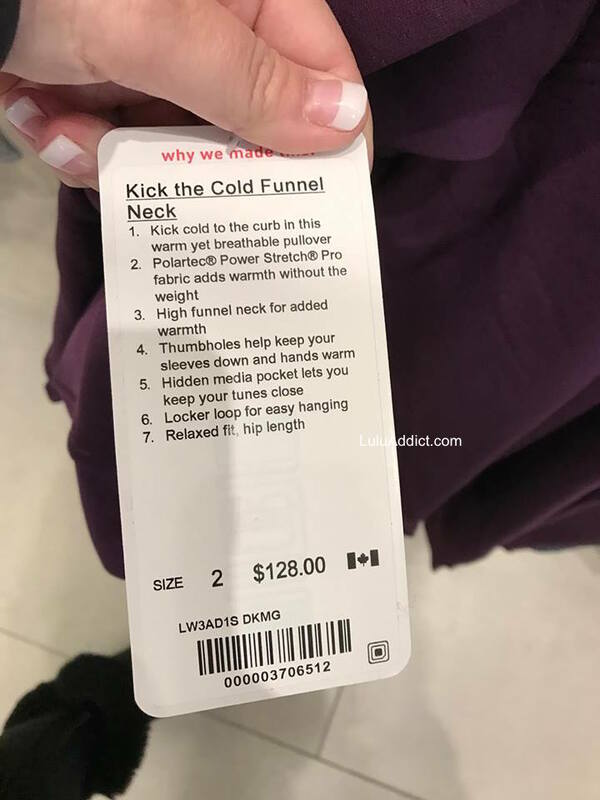 The "kick the cold hoodie" is online for $158 in Canada ... odd that it's marked up in the stores.. hopefully If someone purchased it from the store they get the difference back ,.